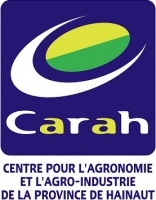 CARAH serves businesses, farms and forestry, municipalities and individuals. In the field of environment and nature conservation in particular, it is developing since 2005, in partnership with a French CPIE (Permanent Centre for Environmental Initiatives), a method for biological evaluation of dumps in the French-Walloon mining basin (INTERREG III and IV). As part of this project, various management experiments are conducted in semi-natural habitats associated with dumps. In 2007 CARAH, in partnership with the ELIA company, completed a study on the impact of safe corridors for high voltage power lines on biodiversity. Since early 2007, the FNE cell is actively involved in negotiations about the opening of forest corridors and the securing of high voltage network in the Walloon Region. This management involves contact with private landowners, public or municipal managers, the evaluation of affected forest stands, the calculation of compensation for interventions, site monitoring and implementation of good management practices for safety corridors. The FNE cell intervenes almost throughout the Walloon region. In 2011, it conducted an audit of the "pruning" policy of the ELIA company to assess the practices associated with vegetation management. It was to propose new lines of thinking incorporating the notion of long-term sustainable management of forest corridors associated with the high voltage network.